St. Kitts Opening of the Marriott Hotel. 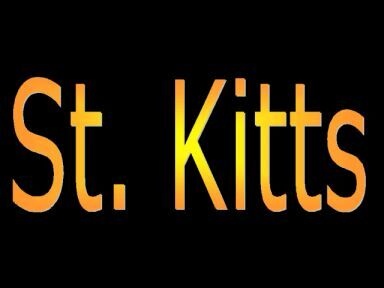 This news release describes some exciting changes coming to St. Kitts. The following information has been released by Marriott Inc.
WASHINGTON, D.C. � Feb. 14, 2001 � Marriott International (NYSE:MAR) has been named to manage a 471-room resort currently under construction on the Caribbean island of St. Kitts. It is scheduled to open in 2003. Owned by Royal St. Kitts Beach Resort Ltd., the Marriott Royal St. Kitts Beach Resort will be located on the Atlantic coast within an area known as Frigate Bay, a master-planned residential, commercial and resort development just east of Basseterre. Frigate Bay is the gateway to the southeast peninsula of the island and is situated within a 10-minute drive of Basseterre and the airport. The resort will have the flexibility to offer up to 623 rooms. It will consist of a 237-room, five-story main building and an additional 386 rooms in a series of three-story garden villas that will surround the swimming pools and will be situated between the main hotel building and the beach. The villas can be configured to accommodate anywhere from 234 to 386 rooms/villas. To improve bathing conditions, a man-made breakwater is planned to complement the natural reef. We are excited by the further expansion of our resort portfolio in the Caribbean, said Ed Fuller, president and managing director of international lodging for Marriott International. St. Kitts is a wonderful tourism destination, and we are confident that this new resort will significantly contribute to its appeal to a broad range of travelers. For dining and entertainment, the Marriott Royal St. Kitts Beach Resort will have a number of choices, including a casual restaurant, a steak house with outdoor seating, a specialty restaurant and a beach club grill. Lounges will include a lobby and piano bar, night club disco and beach club bar. Recreational amenities will include a health club/spa, two swimming pools, tennis courts, retail shopping, a daycare Kids Club and a casino. Other amenities will include a business center and in-room safes. Golf will be available nearby as part of the overall Frigate Bay development. For conferences and social events, the Marriott Royal St. Kitts Beach Resort will have 12,000 square feet of flexible space, including an 8,000-square-foot ballroom that will be divisible into three sections; six meeting rooms offering 4,000 square feet of space, and a board room and terraces for pre-function receptions and events. Marriott International is currently represented in the Caribbean by 12 resorts. They are: the 413-room Aruba Marriott Resort & Stellaris Casino, the 743-room Nassau Marriott Resort & Crystal Casino in the Bahamas, the 248-room Curacao Marriott Resort & Stellaris Casino, the 305-room Grand Cayman Marriott Beach Resort, the 525-room San Juan Marriott Resort & Stellaris Casino, the 504-room Frenchman's Reef Marriott Beach Resort in St. Thomas, the 293-room Renaissance Jaragua Resort Santo Domingo, the 290-room Renaissance Grand Beach Resort in St. Thomas, and the 708-room Renaissance Jamaica Grande Resort. Operated by a separate business unit are three Ritz-Carlton resorts in St. Thomas, San Juan and Montego Bay, Jamaica. # # # -------------------------------------------------------------------------------- MARRIOTT INTERNATIONAL, INC. (NYSE:MAR) is a leading worldwide hospitality company with over 2,300 operating units in the United States and 59 other countries and territories. Marriott Lodging operates and franchises hotels under the Marriott, JW Marriott, Renaissance, Residence Inn, Courtyard, TownePlace Suites, Fairfield Inn, SpringHill Suites and Ramada International brand names; develops and operates vacation ownership resorts under the Marriott, Ritz-Carlton and Horizons brands; operates Marriott Executive Apartments; provides furnished corporate housing through its ExecuStay by Marriott division; and operates conference centers. Other Marriott businesses include senior living communities and services, wholesale food distribution and The Ritz-Carlton Hotel Company, L.L.C. The company is headquartered in Washington, D.C., and has approximately 154,000 employees. In fiscal year 2000, Marriott International reported systemwide sales of $19.8 billion. For more information or reservations, please visit our web site at www.marriott.com.